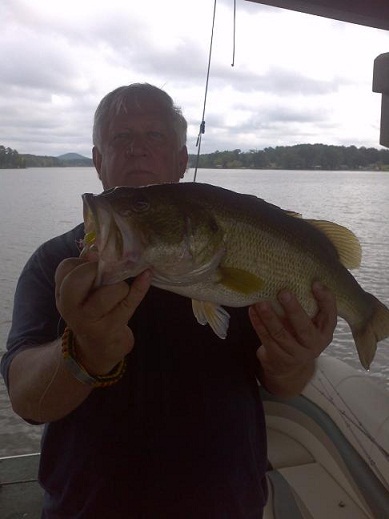 Probably the best spotted bass lake on the Coosa River System. Many anglers have felt the wrath and fighting fury, of the mighty Coosa River spotted bass of Jordan Lake, Impounded in 1928. 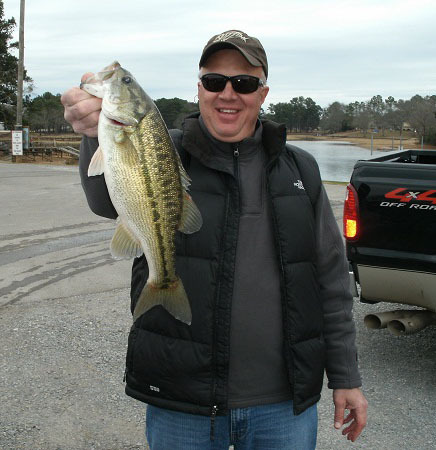 But Jordan Lake has numerous largemouth’s, some twice as big as most spotted bass. Many line-stretching large heads are taken during spring (often more than one per day), some in the 5-8 lb. class…by those who know the fertile spawning waters of Jordan Lake. Looking for spots or largemouth’s? Spotted Bass, are from the lakes headwaters at Mitchell lake dam to the lower Jordan lake dam. Rock bluffs, huge boulder-strewn banks, red clay bottoms, main lake points, irregular banks, rip-rap and old roadbeds, all harbor huge schools of these cold water, current-loving, Coosa River breed of spotted bass. Points leading into the mouths of creeks and pockets are good prespawn areas to search for active schools of spotted bass. Fast-moving lures will get the anxious bites these open water bass are so noted for. Deep-diving crankbaits such as Pradco’s Fat Free Shad, Spro’s deep diving crankbait’s, Bomber Model-A series and Rapala’s deep diving, No. 7-8 Shad Raps, are all excellent choices. Most of these crankbaits get down in the 10 foot depths, with 14-15 pound test monofilament or fluorocarbon line. Even crankbait lures running in those mid-range depths, can tackle hard-to-catch suspended bass. Models such as Spro’s Crankbait 25 series, Fat Crank 20 & 30 series, Rapala’s No.5-7 Shad Raps and Norman’s Little n’ series, are all good choices to cover the 5-7 foot depths, these pre-spawners often hold in. 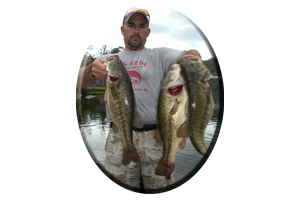 Spinnerbaits, attract both suspended largemouth bass and spots holding near the bank. Topwaters such as the Zara Super Spook, Excaliber Spittin’ Image and buzzbaits, all attract the BIG bass bites in March. These bass are usually along the first and secondary points leading into prime spawning habitat. The largemouth’s of Jordan lake all prefer weed, rocks and wood cover in March. These shallow water bass will inhabit 1-3 feet of water, usually when conditions are following a week-long warming trend, with an approaching rainy front. If a full moon occurs near the end of March, with water temperatures near 70 degrees, bass of both species will spawn early. If cold fronts drop the water temperature, followed by several cold days and nights, accompanied by bright, bluebird, high-pressure conditions, the spawn will be delayed until early or mid April. Anglers will have to slow their presentation as well. There are not many feeder creeks with huge, spawning flats in Jordan Lakes first 10 miles, from the lake headwaters, downriver. Spotted bass spawn a little deeper and prefer rock slabs, secondary ledges along rock bluffs and small pebble points. They are in comfortable surroundings in these lake headwaters. Largemouth’s make do with whatever stable backwater conditions they can find during April. They often spawn in obscure places such as on flat rocks, on top of a cut off stump, or even on submerged laying logs, beneath the water’s surface. 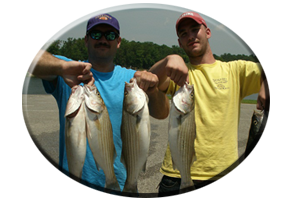 Many bass fan out beds in sandy bottom and in and around weed beds. Spotting these rounded out bedded circles, only involves searching clear water, with the trolling motor on medium to high, cruising and looking. Of course you must be aided by the use of a quality pair of polarized sunglasses. 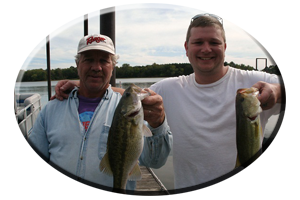 Quality made sunglasses are great for spotting cruising bass, bass on the beds and for spotting underwater cover these bass are attracted to. Cruising bass will roam an area as big as 10-35 feet, often far away from the bed, when bedding. That is, if other bass beds are not around. Smaller territory, and many beds in one area, means less roaming and more bass can be crowded together on one bank. Downriver on Jordan Lake, creeks such as Weoka Mill Creek and Blackwell’s Creek, are more suited to the largemouth’s spawning habitat. Weeds harbor big bass in April in these lower lake feeder creeks. Also look along main lake stump flats, around islands, main-lake points and rip-rap areas for spawning bass, usually these places are not targeted as much by the average springtime angler. 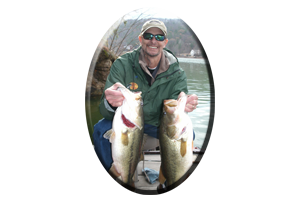 When Spotted Bass have commenced with the rituals of spawning, feeding becomes their number one priority. Schooling will now take place below upper Mitchell Lake dam in Jordan Lake’s headwaters. This frantic topwater action can also be found in the mouths of feeder creeks and up in small pockets. Up in the creeks, flats will show more than one school of spotted bass, usually feeding during the early morning period. Late in the day, when water is generated or during cloudy or overcast periods, are also prime times for these spotted bass. Largemouth’s get in on the action to, when schooling takes place in May. Often largemouth bass can be seen hanging right in there with the spotted bass, competing for baitfish in these creek backwaters, lake headwaters and along spawning flats. Schooling right along with the spots! Weeds play a huge role, now that several aquatic varieties are in full bloom. Bass inhabit this highly oxygenated green growth during May. Many bass just remain in the general vicinity of where they previously spawned, often for the remainder of the Summer, living and feeding around the lake’s new growing weeds. Lures that mimic baitfish are nailed in and around these aquatic weeds during these times. Weedless spoons are good lure choices, that many anglers fail to even try, when bass are feeding on shad in these weeds. Buzzbaits, topwater lures, jerkbaits, and spinnerbaits, always generate a few bites. On highly pressured waters, where bass see lures daily, try fishing with weightless, brightly colored soft plastics like floating worms, Senkos, soft plastic jerkbaits, floating lizards and crayfish imitations. Frogs and rats too! In both natural and bright colors! This will give the bass a different look (at a brightly colored lure), from what is used to seeing, in the form of an average lure color most other anglers are using. These fake offerings are all good lure choices, along with other off-the-wall lures, especially lures that bass are not accustomed to seeing. 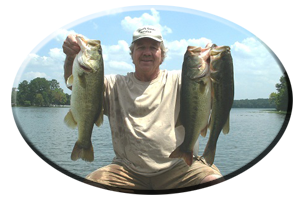 By late May on into early June on Jordan Lake the post spawn season transitions into early summer and you can bet these bass have been hooked by a lot of lures! So show them something different!